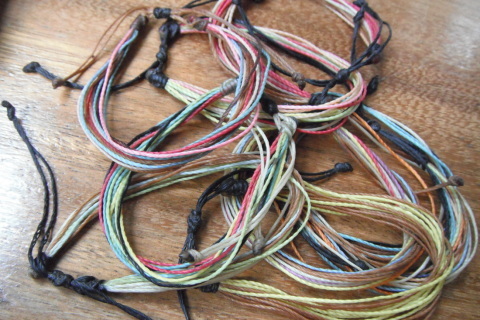 Rock your support with these assorted 10 string bracelets. Durable to wear in the water, everyday! 100% of the proceeds from your purchase of the jewelry (which was hand made by the women in Nicaragua) will go to support their small businesses, allowing them to provide clean water and food for their families. 10 strings available in black or brown with 1-3 SYRV BLUE strings to remind you to keep making good happen. 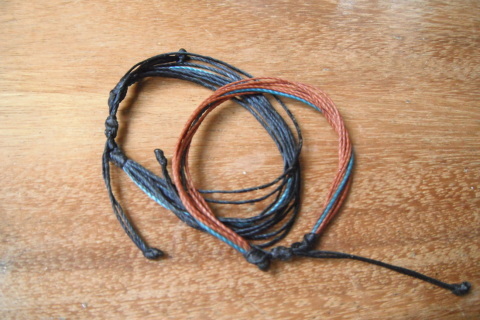 Durable to wear in the water, everyday! 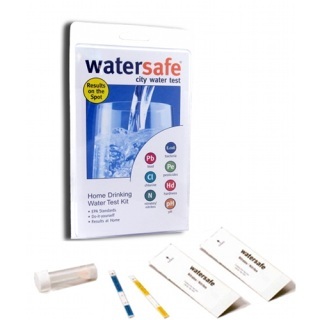 Check for the presence of coliform bacteria in your drinking water with this do-it-yourself, EPA-based test kit. Contaminated water may not smell or taste bad, but the presence of even small amounts of some kinds of bacteria can cause anything from upset stomachs to hospital visits. Some waterborne bacteria can even be deadly! Don't risk it for your family. 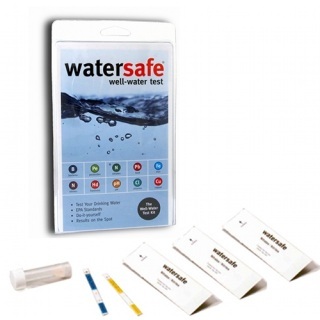 Test your water for harmful bacteria with our simple do-it-yourself kit. 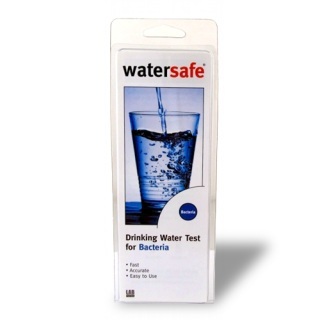 Contains one EPA-based Coliform Bacteria* test for your home tap water, detailed instructions and comparison table. *The presence of bacteria in drinking water is usually the result of a problem with your region's water-treatment plant or private well. A positive result indicates that your water may be contaminated with bacteria that can be harmful to your health or cause disease. risk it for your family. Test your water for harmful bacteria with our simple do-it-yourself kit. 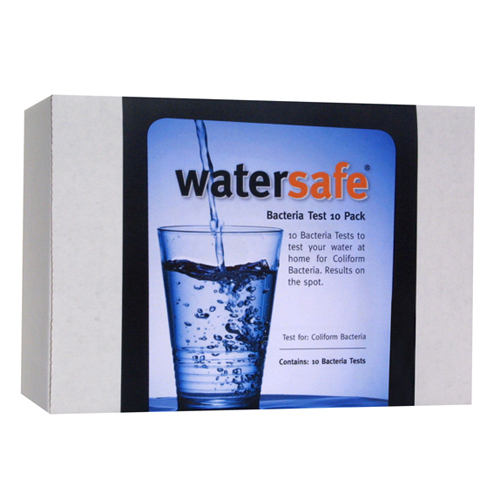 Contains ten EPA-based Coliform Bacteria* tests for your home tap water, detailed instructions and comparison table. Water coolers are not usually chlorinated, and can be easily infested by bacteria. Make sure yours is clean! According to the National Cancer Institute, "The most obvious problem with bottled water, and the water is dispensed from bottled coolers, is bacterial growth." 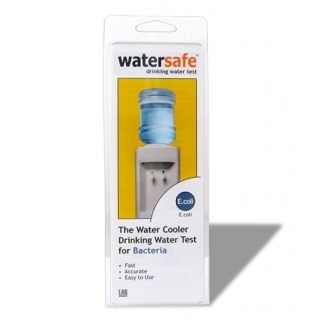 Office water coolers are ideal breeding grounds for bacteria check the safety of yours with this easy-to-use test kit. You're paying a premium for your water - why not make sure its pure. Bottled water lacks chlorine, allowing runaway bacteria growth in water coolers commonly found in offices, schools and construction sites. This easy-to-use test kit only takes a minute to perform and can prevent thousands of dollars in lost productivity due to illness or at least eliminate the "gross-out factor" of a dirty water cooler. An ounce of prevention is worth a lot more than a pound of cure! Simply fill with water, shake, and let sit until results appear. 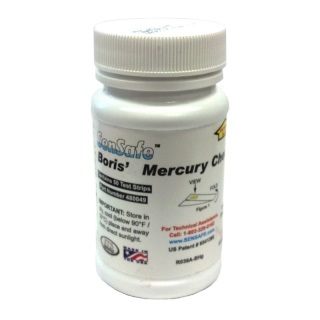 - Drinking Water Boris' Mercury Water Test Kit has no identified interferences. Get great-tasting water on the go, without the cost and waste of bottled water! Product Description: Now you can get great-tasting water on the go, without the cost and waste of bottled water. 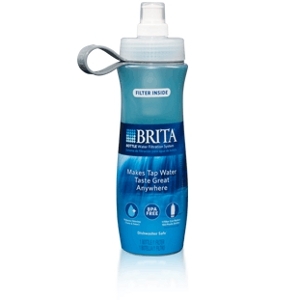 Just reach for the reusable, BPA-free Brita® Bottle, available in blue and green. It filters ordinary tap water as you drink and reduces chlorine taste and odor to make tap water taste clean and refreshing. The gentle giant! This elegantly designed water filter pitcher holds 10-8oz. glasses of water. 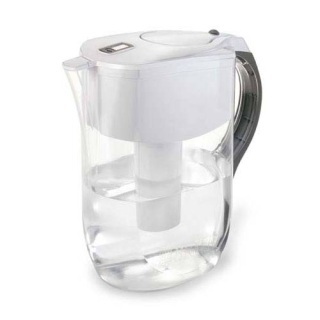 Larger capacity and elegant design make this pitcher perfect for families, sports teams and offices. This compactly designed pitcher holds five 8oz. glasses of water and slips neatly into most refrigerator doors. 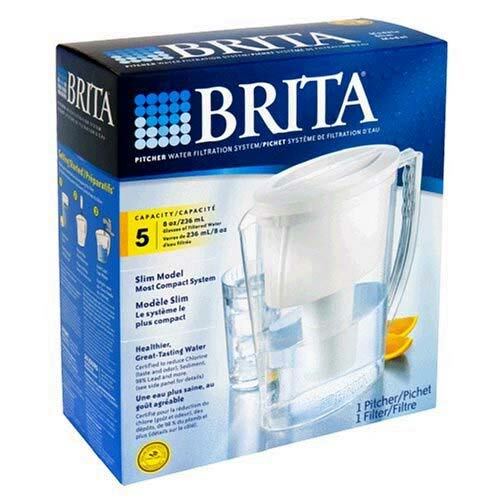 For crisp, clean drinking water in small family or single-person households, Brita® offers their Slim Pitcher with Filter. The filter reduces impurities and harmful substances from tap water and holds approximately 40 liquid ounces. The slim pitcher fits neatly into many refrigerator doors, enabling users to maximize shelf space. Black and chrome styling adds a touch of sophistication to this advanced faucet filtration system. The filter eliminates 99% of lead, sediment and chlorine for a pure flavor and smell, along with reducing the levels of harmful contaminants in the water. An electronic indicator tells you when to replace the filter. The warning light signals two weeks before it needs to be changed. Easy switch from filtered to unfiltered water, with spray or stream options. Keeps a healthy level of fluoride for strong teeth. Tested and certified by NSF International. Not for use with water that's not microbiologically safe. 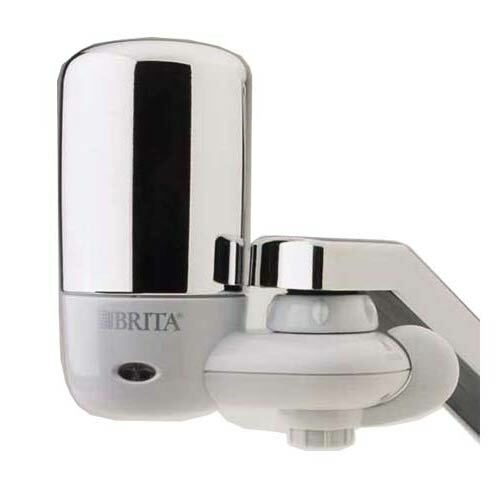 White and chrome styling adds a touch of sophistication to this advanced faucet filtration system. The award-winning personal water filter, designed to provide you with safe, clean drinking water in any situation. LifeStraw is the most advanced personal water filter available today. 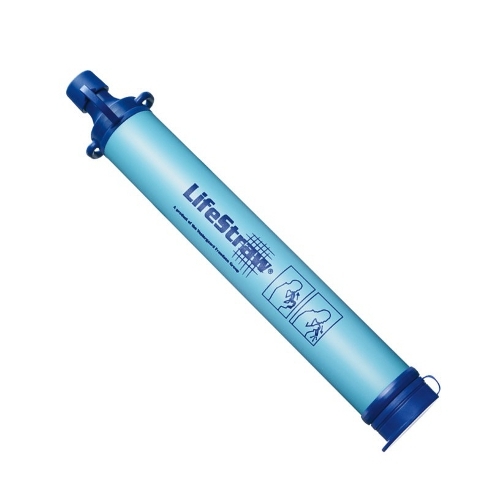 LifeStraw surpasses EPA guidelines for Escherichia coli and Cryptosporidium oocysts, rigorous standards for water filtration. The Pure Water Straw is like a miniature bottled water plant when you use it with optional Chlorine tablets. 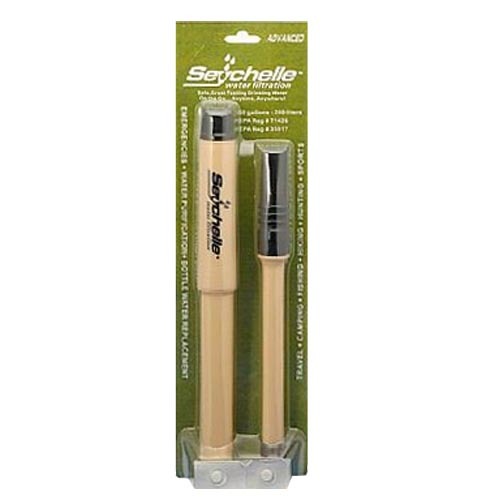 It’s ideal for traveling, in your purse, pocket, backpack, luggage, and car. Up to 50-gallon filter life. 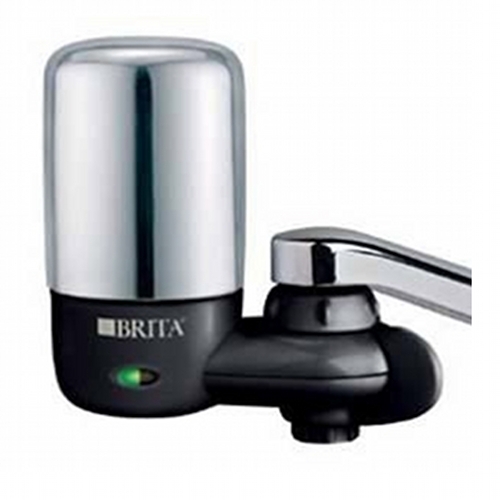 Removes up to 99.99% of contaminants found in fresh water including Guardia, Cryptosporidium, E-Coli Bacteria and Virus. Attractive carrying case – compartment for Chlorine tablets (EPA Reg. # 35917). Tested by Independent laboratories using EPA and ANSI protocols. This filter offers an uncompromising approach to design, quality, and filtration performance. Filtered Shower Handle with 8 function spray. •Filters Chlorine, Dirt & Odors. •One replaceable filter model HHC included. •Rated for 5,000 gallons or 3 months, which ever comes first (individual water conditions may vary). Style and function underscore Sprite's line of ergonomically balanced filtered shower handles. 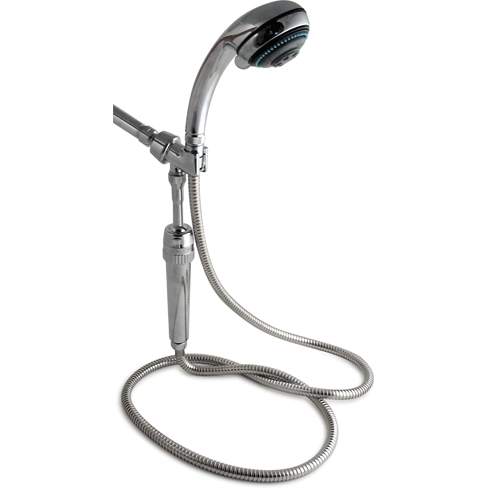 By uniting the features of the All-In-One with the convenience and versatility of a shower handle, a new standard is created. Sprite's uncompromising approach to design, quality, and filtration performance has produced the finest of all shower handles. Sprite Shower filters uses CHLORGON, a new and improved shower filtration media engineered to remove more chlorine than any other. The patented, proprietary filtration media has been tested and certified by NSF to "outperform the current media". 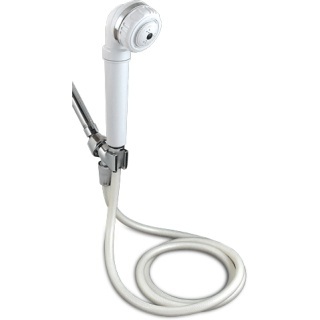 The Shower Falls Filtered Shower Handle provides an invigorating Mist to compliment any skin care regime. Sprite Shower filters uses CHLORGON, a new and improved shower filtration media engineered to remove more chlorine than any other. The patented, proprietary filtration media has been tested and certified by NSF to "outperform the current media". 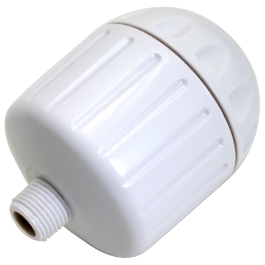 The High-Output Shower Filter (HO) contains a reversible filter cartridge that will filter the shower water for one year. This high performance shower filter combines easy operation and maintenance with the ultimate in structural integrity and over-all reliability. The HO is the strongest replaceable shower filter available on the market today. Sprite Shower filters uses CHLORGON, a new and improved shower filtration media engineered to remove more chlorine than any other. The patented, proprietary filtration media has been tested and certified by NSF to "outperform the current media".